William Quincy Belle: Health: The Psychology of Getting Well: Real or bogus? Barring something as dramatic as having your arm amputated, we all more than likely have a lesser injury and may be getting suggestions left, right, and center as to what we can do to assist in the healing process. Vitamin supplements? Physiotherapy? Green tea? What's real and what's bogus? If person A and person B have the same injury and person A drinks green tea every day while person B doesn't but both people are healed at the end of six months, I can conclude that drinking green tea did not contribute to the healing process. However the majority of us do not study the effectiveness of any remedy thrown at us. We may rely on a medical professional to tell us what to do. We may follow the advice of a secondary healthcare provider such as a nutritionist or a physiotherapist. And we may follow the suggestions we get from family and friends and even from newspapers and web sites. What's true and what's false? What remedies are real and which ones are bogus? I myself have had a health issue, the worst sports injury I have ever suffered in my entire life. What I am now writing about represents my experiences in trying to sort out the wheat from the chaff, in trying to figure out just what recommendations are in fact legitimate and what may be common but unproven remedies. We normally think of this word in reference to something religious which contrasts with our own accepted beliefs. Christianity is legitimate while Voodoo is a superstition. Then again, one could argue that Christianity may have just as many supernatural principles. Beyond that initial meaning, the word is linked to psychology as an attempt to explain why we do what we do and why we believe what we believe as we collectively try to sort out how the world works. The American psychologist B. F. Skinner, famous for his studies in behaviourism, concluded that human beings just like his animal test subjects are very much influenced by the perceived causal relationships between action and reward. While a pigeon learns to push a button to get a seed, human beings have formulated their own actions: make a sacrifice, get a good crop; cross your fingers, get good luck; pray to God, go to heaven. While talking about getting a good crop from making a sacrifice now seems ridiculous in light of a current knowledge of the weather, good soil, and irrigation, questioning other beliefs like God and heaven may still be considered blasphemous but blasphemy doesn't make the belief any less open to questioning. Just imagine that Galileo was condemned by the Church for suggesting the Earth went around the Sun and spent the last eleven years of his life under house arrest! If anything during the past two years of researching and writing this blog, I have been astounded by what people may consider as so-called facts without confirmation by a university sanctioned analytic methodology of double blind testing with a statistically significant cross-section of the population. I have repeated it ad infinitum and maybe even ad nauseum that "the plural of anecdote is not data" but more times than I or anyone should care to accept, people have presented a single personal experience or one or two stories from friends as a justification for a belief. They have no rational basis upon which to build a defensible argument but they do it anyway. Why? They have quite simply chosen to believe. In dealing with my own health issue, I have once again found superstition per se to be very much alive and influencing the behaviour of people across the planet. We may have the greatest communication since the dawn of time with television, the Internet, and God knows what else, but we continue to acquire knowledge in a haphasard and undisciplined way ofttimes with no measure of scientific rigour. Is it any wonder I have heard more than once that despite the technological advancements of the human race, we collectively have not progressed in the past two thousand years. I'm researching my health issue on the Net and I find an entry in a user group where a guy states he started taking glucosamine. What the heck is that? He goes on to say that he has no idea if this supplement contributed to his healing but he is better after a few months. Hey! Do I need a better testimony than that? I go out and buy myself a big bottle, enough for sixty days and start a regime of three times a day. It seems a bit foolish but like the guy, I was in pain and desperate. Somebody bugged me to go so I went. Results? Zip. Nothing. Nada. So what's all the hoop la? Some people swear by it. Heck, the person who bugged me! Acupuncture is an "alternative medicine" or a practice which does not fall within the realm of conventional medicine. Arnold Relman, editor in chief emeritus of The New England Journal of Medicine, was quoted as saying, "There really is no such thing as alternative medicine--only medicine that has been proved to work and medicine that has not." My subsequent research showed that controlled tests between traditional acupuncture points and randomly sticking needles into a person produced the same results. Using "fake needles" like toothpicks also produced similar results. But why would anybody claim that it worked? It was thought that there is a psychological effect of going through the procedure and of being touched by another human being. The patient felt he was better off not because of acupuncture but because of the power of human touch. As an aside, I decided to discontinue these sessions. However, a month later I recognised that I had improved. My pain had diminished and I felt I had healed somewhat. If I had continued with the acupuncture sessions, would the acupuncturist have claimed to be healing me? Would I have been thinking acupuncture was somehow doing something beneficial? Like acupuncture, I didn't feel any results. Once again my research brought into question the validity of this practice but my reading and my own experiences lead me back to the power of human touch. There seems to be no scientific evidence which conclusively proves cracking or manipulating bones is effective for any medical condition but like acupuncture, what benefits are to be had from having another human being massage our muscles, move our body parts around, and just in general touch us? As with acupuncture, I stopped the chiropractic sessions. If I continued, would I now be saying, since I now feel better, that this was due to getting my neck cracked? Out of the various people I consulted about my injury, there has only been one person who has demonstrated immediate and tangible proof that his methodology works. As a kinesiologist, this gentleman seems to focus not necessarily on the symptoms of the problem but on the cause and he has consistently shown startling results when working with me. Just to recap (again! ), on April 7, 2012, I managed to traumatise the upper left quadrant of my body. I stopped short of tearing my rotator cuff (That would have required surgery!) but have been given to understand I'm looking at 6 months to a year to recover. On top of that, the trauma extended into my neck and left me with a slightly herniated cervical disc causing a pinched C6 nerve resulting in referred pain in my left shoulder, arm, and hand. How long for that to heal? Will it heal? Another unknown in the mix. He gave me some strength tests. This involved putting my arm in various positions and he would push against my arm asking me to resist. He tested my left and right arms and I could easily feel how my left was very weak in comparison with my right. Glucosamine? Acupuncture? Chiropractic? I'm sure there are people who will come forward and testify that glucosamine works. Or acupuncture. Or chiropractic. Do we say that each case is unique and requires a different program of recovery? I would ask the question: if I had done nothing would I be better today after four months of healing? If so and I had followed any one of the above three courses of action, would I be claiming that course of action was instrumental in my healing? In my blog Health: Pascal's Wager and Desperation, I talk about our desperation to get better and how we may be willing to try anything then claim it helped. I stated that a year from now I am more than likely going to be better than I am right at the moment. If I start eating peanut butter and jelly sandwiches everyday for lunch, could I claim at the end of a year that my improvement is connected to the peanut butter and jelly? Does the salubrious strawberry combined with the protein of peanuts contribute to me getting healthy again? Cause and effect. Of course I do point out that correlation does not imply causation and it would seem to me that my reading about glucosamine, acupuncture and chiropractic points to the likelihood this is true. And for acupuncture and chiropractic I would add that the power of the human touch alone has not been properly measured for its beneficial effects on both the body and the spirit. Out of everything, the kinesiologist is the only one who seemed to grasp my problem and do something which showed immediate results. However, while I credit him with getting a handle on my traumatised upper left quadrant, I am not sure that he knows what to do about my herniated disc if there is anything to be done. All of my reading leads me to believe that if the body can heal a herniated disc, the body will do so. It isn't a question of dietary supplements or exercises, it is a question pure and simple of what the body can or cannot do. For anybody reading these words in the hopes of finding the answer to their own particular problem, I would offer this lesson I have learned. It's my body. It's not my doctor's body; it's my body. It's my injury; it's my pain; it's my problem. If I thought I was going to walk into a clinic, get a diagnosis, a prescription, and a definite plan of recovery involving physio or something, I was sadly mistaken. I was in so much pain in the beginning, I was not thinking clearly and I did not do a good job of advocating for myself. I did not push hard enough for answers and I did not realise at the time that the doctor, while doing his job properly, did not investigate thoroughly enough to properly determine the extent of my injury. My problem wasn't a three out of ten; it turned out to be a seven out of ten. If I had known that from the get go, if my doctor had know that, I'm sure I would have tackled the problem differently. The word is often used pejoratively to refer to religious practices (e.g., Voodoo) other than the one prevailing in a given society (e.g., Christianity in western culture), although the prevailing religion may contain just as many supernatural beliefs. It is also commonly applied to beliefs and practices surrounding luck, prophecy and spiritual beings, particularly the belief that future events can be foretold by specific unrelated prior events. Oral glucosamine is a dietary supplement... marketed to support the structure and function of joints and the marketing is targeted to people suffering from osteoarthritis. Since glucosamine is a precursor for glycosaminoglycans, and glycosaminoglycans are a major component of joint cartilage, supplemental glucosamine may help to prevent cartilage degeneration and treat arthritis. Its use as a therapy for osteoarthritis appears safe, but there is conflicting evidence as to its effectiveness. A systematic review found that effect sizes from glucosamine supplementation were highest in industry-funded studies and lowest in independent studies. Do Glucosamine Supplements Work? by Monica Reinagel, M.S., L.D./N. ... the official take on glucosamine and chondroitin supplements is that they are a waste of money. But I’m not quite ready to throw in the towel on these. The fact is that many people do report substantial improvement in their joint pain when they take these supplements. 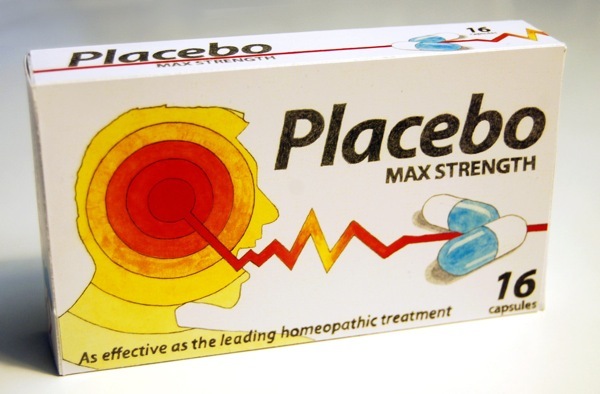 And I’m not sure that it’s entirely due to a placebo effect. In fact, the authors of the 2006 study hinted that certain people seem to get more benefit than others. The problem is that the only way to know whether you’re one of those people is to try it yourself. And if you do notice some improvement, there’d be no way to guarantee that you weren’t imagining it. But, hey, feeling better is feeling better! And, unlike arthritis drugs, glucosamine supplements appear to be exceedingly safe and well-tolerated. A 2009 review concluded that the specific points chosen to needle does not matter, and no difference was found between needling according to "true" points chosen by traditional acupuncture theory and "sham" acupuncture points unrelated to any theory. A 2008 critical review found that with the possible exception of back pain, chiropractic manipulation has not been shown to be effective for any medical condition. Kinesiology, also known as human kinetics, is the scientific study of human movement. Kinesiology addresses physiological, mechanical, and psychological mechanisms. Applications of kinesiology to human health include: biomechanics and orthopedics, strength & conditioning, sport psychology, rehabilitation, such as physical and occupational therapy, as well as sport and exercise. In the fourth Star Tek movie, The Voyage Home, the crew from the 23rd Century goes back in time to the 20th Century. Chekov is injured while trying to escape the police and ends up detained in hospital. When the other crew members come to rescue him, there are a number of amusing scenes where Doctor McCoy is flabbergasted by the 20th century medicine he sees asking if this is The Dark Ages. This post (and the others in the same vein) roll around in my head as I continue to contemplate my options for perimenopause treatment. I'm not in any pain, but I'm flaky, sweaty and miserable. Crap. I know all the "recommendations" are snake oil. I'll just stick to wine. Raising a glass to you; glad you've gotten some pain relief!